Who Of These Designers Will Be Chosen To Make Meghan Markle's Wedding Dress? Who will take the crown? Will we find out in the coming weeks, or will she follow Kate Middleton's footsteps and leave it until the day of the wedding! Prince Harry and Meghan Markle have set their wedding date; the 19th of May will be their special day. Until then, we’ll be predicting every last detail. One thing we’ll be excited to learn about is who’ll be designing the all important dress! In fact, up to 8 experts in the field are being considered as potential candidates. Who will be the chosen one? We investigate each one individually. He seems to be the favourite but who knows what will happen. For the moment, his friendship with the actress and the fact she has chosen his designs for several events act in his favour. However, for this type of celebration, the British Monarchy usually prefers a national designer to be chosen, therefore making this French designer a less likely choice. It all depends on who has the final say. This is the name that will cause the most controversy due to her past occupation as a singer in the Spice Girls (and one of the band’s most controversial members) which does not mesh well with the Royal Family’s normal lifestyle. However, beyond her past career as a singer, Posh Spice is a fashion icon and has become a successful designer who will know how to add a modern and revolutionary touch to the outfit. There are many reasons as to why he might the winner. 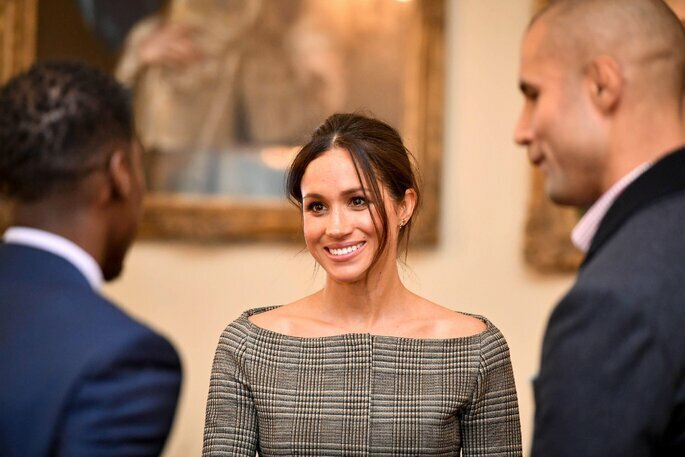 Firstly, he is Kate Middleton’s favourite designer, Meghan’s future sister-in-law. In fact, the actress and Harry’s future wife has also worn some of his designs. On another hand, the designer based one of his latest collections on some of the Queen’s outfits, most especially those she wore in the 50s. And, finally, he is Canadia, just like Meghan, but lives in England, an important detail for the Royal Family. On this occasion, sentimental value could influence in the choice of the designer. Misha Nonoo was the one in charge of organising the couple’s blind date and, in some ways, is the one to thank that this wedding is even taking place. In addition, she has dressed numerous big media stars such as Gigi and Bella Hadid, Madonna, Jay-Z and Alessandra Ambrosio. Even though many don’t trust her designer status, she is on the track. Lordy… this is a #WeddingGown !… A 'BLACK' sash??!!…. # Really??? The brand of the late Alexander McQueen has shown its worth, for sure. 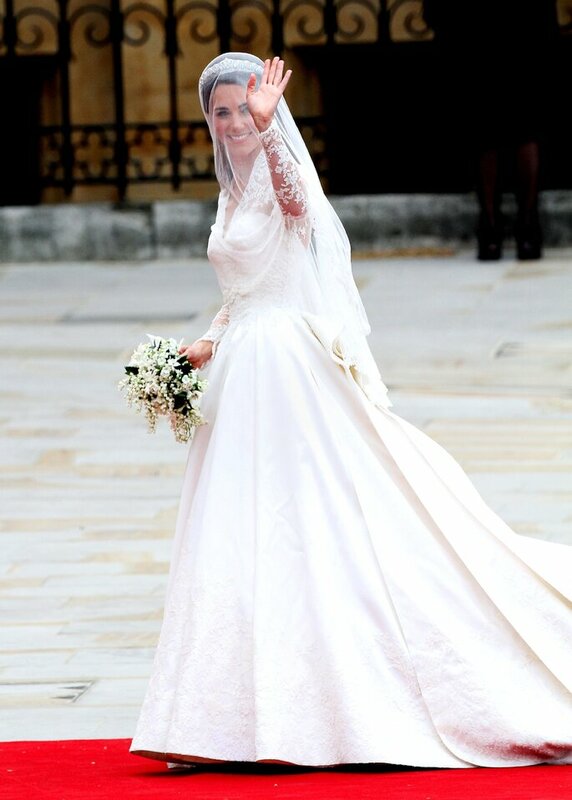 In fact, it was Sarah Poulson, McQueen’s successor, who was in charge of making the fine work of art Kate Middleton wore at her wedding. Thus, they have the prestige, the history and the confidence of the royalty, but perhaps they want to be a little different. It has the inestimable approval of Meghan Markle, carrier of the design in question, because, on one occasion, it revealed that her favourite wedding dress was the one worn by Carolyn Bessette Kennedy in 1996, the work of the American. In addition, enjoys the confidence of the very Michelle Obama, who has had several looks of the designer in his closet. Will it be enough to take the prize? Despite the competition, it has many possibilities for two reasons. First, the firm revealed a recent request from the British Royal House to receive a proposal. Second, Meghan likes the style of the brand and considers herself a fan of it. However, will royalty overlook the fact that those of Inbal Dror have escaped the “secret”? Who will take the crown? Will we find out in the coming weeks, or will she follow Kate Middleton’s footsteps and leave it until the day of the wedding! Place your bets in the comments. Do not miss the best outfits from the Academy Awards... Take note of the latest trends for your wedding and event, we know you'll them! The movement Time's Up against inequality and harassment dominated the British red carpet. A black dress code was set to show support for the campaign. Find the best looks from this years BAFTA awards 2018. A Technological Wedding: Welcome to the Future! Get ready for weddings science fiction begin to have permeated society. A unique wedding adventure for your unique wedding!